MAG Subscriptions. 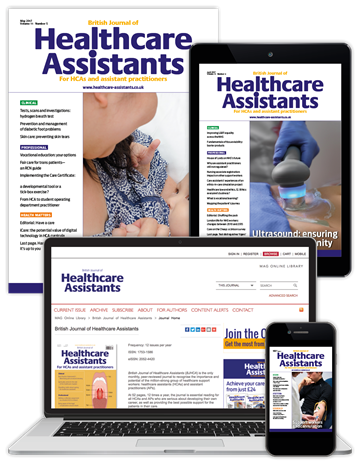 British Journal of Healthcare Assistants - Sale! The Sale is now on! 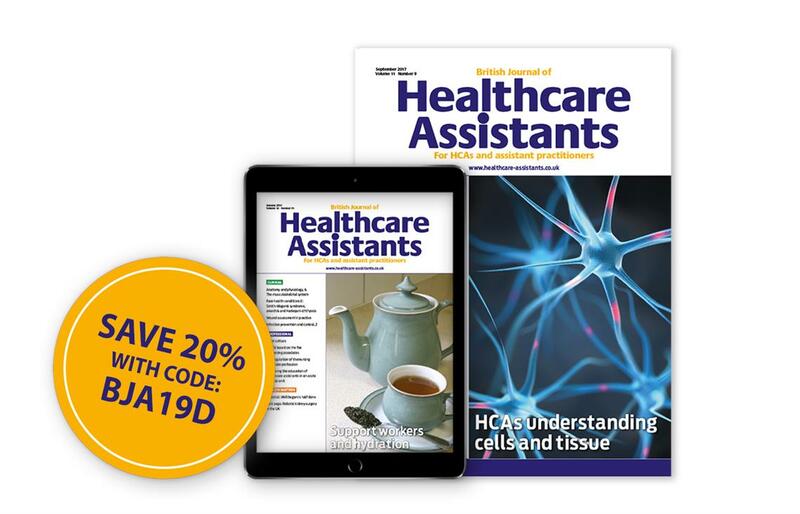 You can save up to £30 on your subscription - order now with code BJA19D. 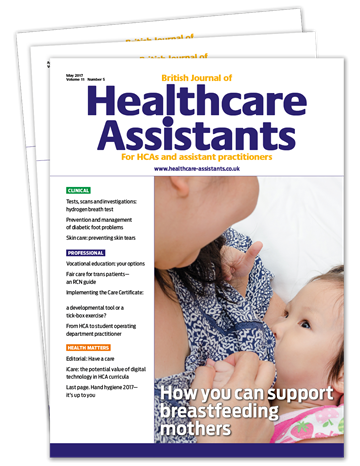 British Journal of Healthcare Assistants (BJHCA) is the only monthly, peer-reviewed journal to recognise the importance and potential of the million-strong group of healthcare support workers: healthcare assistants (HCAs) and assistant practitioners (APs). 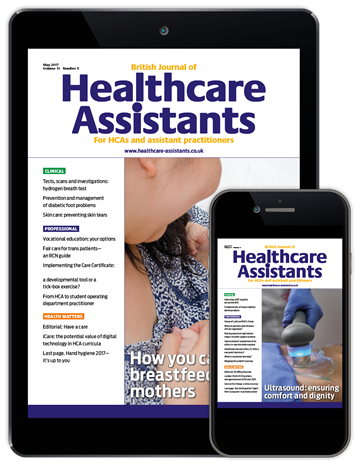 At 52 pages, 12 times a year, the journal is essential reading for all HCAs and APs who are serious about developing their own career, as well as providing the best possible support for the patients in their care. 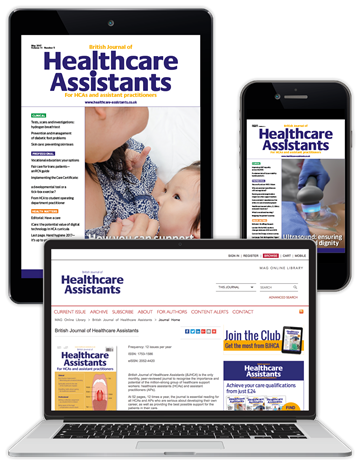 To claim your 20% discount, simply select your subscription option below, and quote code BJA19D when prompted. 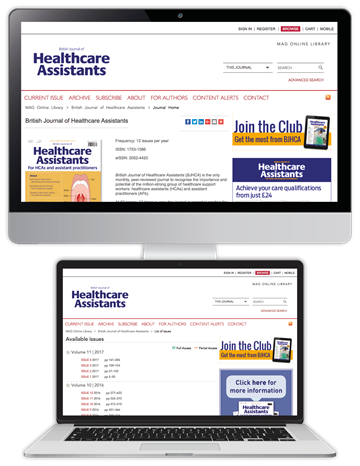 This once-a-year offer ends on 17th May (11:59PM GMT).